No matter what your level of alcohol use is, Freedom Model's can help. Residential Alcohol Rehab Programs are a program where a client or guest stays at a facility for a certain number of days. Most programs are offered for 28 days due to insurance purposes. 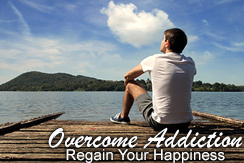 Insurances will cover only a 28 day stay in alcohol rehab programs. Programs that are longer are usually private pay or insurances will only pick up the first 28 days of it. Most of these residential alcohol rehab programs are based on the disease concept or 12 Step model. Most of these alcohol rehabs are ineffective and a person will have to try a few of these programs until they find one that is effective and helps them become sober. Residential alcohol rehab programs that have a home like setting usually makes for a comfortable stay, and guests or clients will usually have a better outcome from their stay. Inpatient alcohol rehabs that use the 12 Step Model use the social setting as support systems, where the Freedom Model Retreats uses it for interaction purposes. A support system is nothing other than something to fall back on or to blame for failings. Interaction and people being able to decide their own way has proven to be very effective at the Freedom Model Retreats. Unlike conventional residential alcohol rehab programs, The Retreats offers a different experience. You are still in the residential setting, but you are being educated instead of being told you are diseased like in other alcohol rehab center. The social aspect of being in residential alcohol rehab programs can be beneficial as long as it is applied correctly. The Retreats uses the Freedom Model along with a social education approach to help people everyday, and it has proven to be very effective.